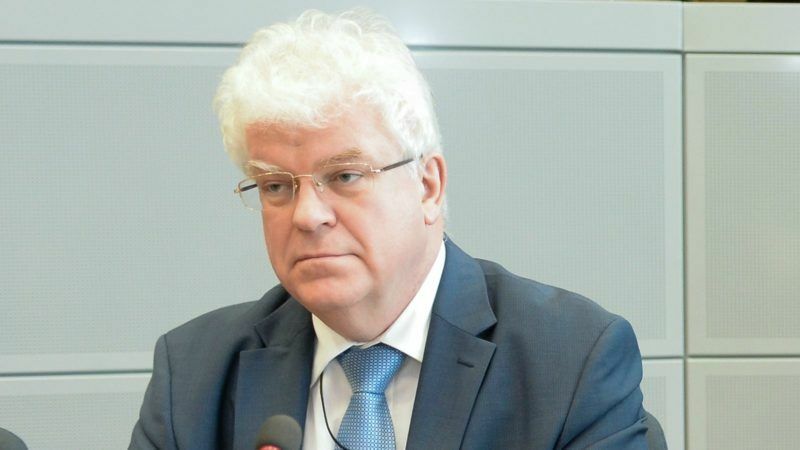 Chizhov spoke to EURACTIV’s Senior Editor, Georgi Gotev. As usual I will ask what is on the agenda of Russia-EU relations? It might look a bit paradoxical, but in spite of well-known restrictions and freezing of many formats of Russia-EU cooperation, life is keeping me and my colleagues quite busy. Yes, coupled with the working group on the Western Balkans. They go together. Is this something new? Russia now has a say in EU enlargement? Of course, we are interested. …yes, because as we said when the Eastern Partnership first appeared in 2009, Russia didn’t consider itself to be either a subject or an object of that policy. But of course, having in mind that all focus countries of the Eastern Partnership are our neighbours, and that we have multiple ties with all of them, some of them are members of the Eurasian Economic Union [Belarus, Armenia]. And of course as such they have taken upon themselves certain obligations, so whatever they do with the EU should not infringe on those obligations. Having said that, I need to stress that we have nothing against any of these countries, or other countries, establishing and promoting good relations with the EU. We have nothing against enlargement of the EU, which is different from NATO enlargement of course. Actually, historians may be confused in the future, looking at the fate of that Association Agreement between the EU and Ukraine, because it was signed twice, by two different people, each one of them going beyond his competences, and one of the signatures made with a pen belonging to a different person. You will need to explain. Well, it was split into two, first the political part, then the DCFTA. But the political part was signed by the then prime minister, who was entitled to sign the DCFTA, not the political part. And much later the president signed the DCFTA. So it was a criss-cross of competences. Then, when President Poroshenko signed the DCFTA, he boasted that he had signed it with a pen of the Vilnius summit where it had been offered to Yanukovich and not used. How did he get it? I don’t know. But do you see a legal problem there? No, I actually see less of a legal problem, but more of practical problems. Your Ukrainian colleague recently told me that trade with the EU is booming, and basically his country’s trade has shifted very much from Russia to the EU. Well that’s because all ties with Russia have been broken. And those ties included not only trade in commodities. They included industrial cooperation and many other things. Let’s face the facts. Russia and Ukraine had been parts of a single economy. And of course there were divisions of labour among the various industries. So what is happening now is that Ukrainian high-tech industries, including the military industrial complex, is more dead than alive. But not a single airplane has been built since June 2015. The Antonov aircraft complex is lying on its side, as people say, from the moment they cut ties with Russia. And last July, it was actually disbanded. We’re sorry for the highly qualified people who used to work there. When Ukraine has a deficit of coal for heating, they would bring coal from South Africa and Australia, across the ocean, when Ukraine’s Donbass used to be the No. 1 coal producing region in the Soviet Union. If I can make a comparison, the separation with Ukraine was a kind of “hard Brexit” for Russia, so now you want to avoid “hard Brexit” with other neighbours? Ukrexit? Well, we certainly do not want anything like that. The situation is different with each country – let’s take Georgia as an example. Georgia broke off diplomatic relations with Russia [in 2009] and has not given any signal of its readiness to restore them. Meanwhile trade is booming. You know why? Because the current Georgian government has been wise enough not to sign up to EU decisions on anti-Russian economic sanctions. Ukraine is a unique country. I haven’t seen any precedent of a country signing up to a stop list against its own citizens. Some individuals on the EU list are Ukrainian citizens. And Ukraine dutifully signs up to those decisions, aligning itself with sanctions against its own citizens. But if these citizens are guilty of wrongdoing, why not? Well, then, if they are your citizens, you don’t need the EU to address them, do you? I still didn’t understand in what way you want to be reassured as to the enlargement and neighbourhood countries. We want to be sure that whatever they do with the EU – be it accession, or association, or whatever – doesn’t infringe on our traditional relations. And beyond the slow movement of countries toward the EU? There is a wide range of issues where we cooperate with the EU. As a vivid positive example I can tell you we are 100% on the same wavelength regarding the Iranian nuclear deal. And we are broadly on the same wavelength on the core Middle East settlement, meaning the Israeli-Palestinian conflict. On Syria the EU is not very active. Where we differ is that the EU puts some preconditions to its involvement in post-conflict rehabilitation of the country, in reconstruction. It says there is a need for a political transition first, and then we can start giving the money. Because for the time being the only assistance Syria is getting from the EU is humanitarian aid, channelled through the UN and the Red Cross. But the country already needs a lot of investment, not only aid as such. Actually the political settlement in Syria was the focus on Monday’s meeting of President Putin in Sochi with President Assad. I have seen the Reuters report. Anything else you can say about this meeting? I understand they agreed that the military phase of combating terrorism in Syria is coming to an end. Major military successes on the ground have driven out ISIL and other terrorists. There are still pockets of fighting, but that’s inevitable. It’s time now to engage in political settlement, under the well-known auspices of the United Nations. Some people are confused, but you have been to Astana so you know the difference between the Astana process and the Geneva process. They are not competing, they are mutually complementary, and we hope the political process will go on. There are recent changes in the composition of the various groups among the Syrian opposition, some of the radicals are gone. So we hope they will be able to produce, ultimately, a single negotiating delegation. There are of course questions that need to be tackled like the role of the Kurds, like the situation of any of the de-escalation zones. Sochi is today the venue of another meeting – the tripartite summit of Russia, Turkey and Iran. Putin spoke to Donald Trump yesterday, Lavrov discussed the situation with Tillerson, we are in close contacts. Of European countries, we had the visit of Miloš Zeman, the President of Czechia, they switched the name to be closer to the way we pronounce it. 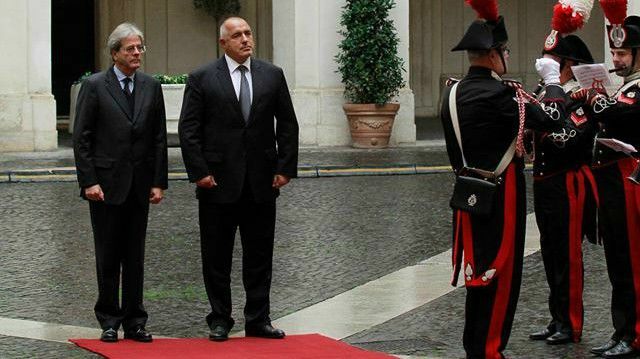 I may surprise you by quoting the Bulgarian Prime Minister Boyko Borissov, who is getting ready for the Bulgarian Presidency of the Council of the EU. He said and repeated “Putin talks to Trump about Syria, where is the EU? Putin talks to Erdogan about Syria, where is the EU?” So where is it? The European Union of course is part of the International Syria Support Group, but frankly that group was established as a very large body, too large to be effective in my view. In any case, the European Union is welcome to be more active. You invite the EU to be the payer. But they are a player. … you invite them to come to pay. And to participate in the Geneva process, why not? The problem for the EU is to get its act together, comprising all the (still) 28, who have different views. Zeman said yesterday in Sochi “Bashar Assad is a democratically elected President”. I can assure this is his personal opinion. You see? There are different views in the EU. Erdoğan is in and out of Russia. He is today in Sochi, it’s his second time in 10 days. Turkey is not an easy partner for anyone. Even for NATO, I can confirm. Even for Norway and the US. I’m sure even for Bulgaria too. It has never been an easy partner for us. We had our ups and downs, some of them well known and quite recent. But it’s a major country in a region quite close to Russia, and in the Syrian context, the Turkish factor needs to be taken into consideration. At the expense of the Kurds. That’s why we talk to the Turks, we talk to the Kurds, we talk to Assad, we talk to the opposition, we talk to the Iranians, we talk to the Saudis. You know? We are the only country that talks to everyone. You have replaced the Americans. That’s because they don’t want to talk to Assad for example. Besides, I’m not sure how their dialogue with Turkey will evolve. You replaced the Americans also because your media are becoming quite influential. You know, for weeks I was joking, talking to various people here, saying that I wonder why hasn’t anybody found a Russian trail behind the Brexit referendum. Two weeks later, as if they heard me, they ostensibly “found” such a trail. Which doesn’t really exist, of course. Catalonia is already in the bag, what next? Several years ago you said “Bulgaria is going to be our Trojan horse in the EU”. I never said that. I was asked to comment certain publications which referred to Bulgaria as a Trojan horse. I said I would be happy to see a Trojan horse like that. Now the Bulgarian Presidency is coming. Well, I’ve been dealing with the EU long enough. I’ve carefully read the Lisbon Treaty and I understand that since it came into force, the role of rotating presidencies, in particular in foreign policy, has diminished. Not in the sectoral side, though. But our sectoral cooperation is frozen. Of course, a lot depends on the country presiding the Council, when collective decisions are taken. Of course, we look forward to working together with the Bulgarian Presidency. We are getting close to elections in Russia. President Putin hasn’t made announcements. No. Some other people made their own announcements. But this was done unofficially, because the election campaign hasn’t started yet. According to the electoral law, it will start 3 month before the vote. So be patient. Good interview. Euractiv is right to publish the Russian side of things seeing as how the MSM in the EU always follows the US mindlessly and never asks the right questions. The recent drivel by the sickly and pathetic looking Theresa May blaming Russia for everything – including Brexit – is a good example where her patently absurd rantings were given lots of coverage ……..not one newspaper actually had the courage or intelligence to actually question what she was saying. Letting the Russian give his opinion is important – we do not have to believe it, but we also must not ignore it.